RUBY Orovillo, 17, was emotional when she attended the penitential “Walk with Jesus” from Fuente Osmeña circle to the Basilica Minore del Sto. Niño de Cebu on Thursday morning, Jan. 10. Clutching a small image of the Sto. Niño, Orovillo joined more than 300,000 people who attended the penitential walk that kicked off the 454th Fiesta Señor celebration. 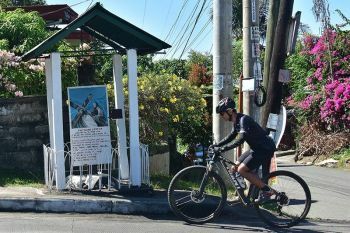 Orovillo, a native of Trinidad town in Bohol Province, said it was the first time she witnessed the deep devotion of the Cebuanos to the Sto. Niño. “Dinhi ko naka-feel nga ingon ani diay ni. Nindot kaayo. Lami man gud sa feeling nga makaapil ka ani for the first time, makakita ka og mga tawo nga ingon ani ka devoted (So this is what it feels like. It’s very nice. It feels good to join the activity for the first time. I saw how devoted the people were),” Orovillo said. In his homily during the opening mass, Fr. Pacifico “Jun” Nohara Jr., Basilica rector and overall chairman of this year’s Fiesta Señor, said the gesture of waking up early to attend the penitential walk and first novena mass was a show of sacrifice and love for the devotees to the Sto. Niño. Nohara encouraged the devotees to make the Sto. Niño their inspiration in being humble and in serving others. He also encouraged parents to look after and guide their children as they play an important role in the community especially that this year, the Catholic Church is celebrating the Year of the Youth. “They are important because they are our community’s future leaders. They are the hope of our nation. They are our future lawmakers. They are our future doctors. They are the future parents and most of all, future evangelizers of God’s word,” Nohara said in Cebuano. 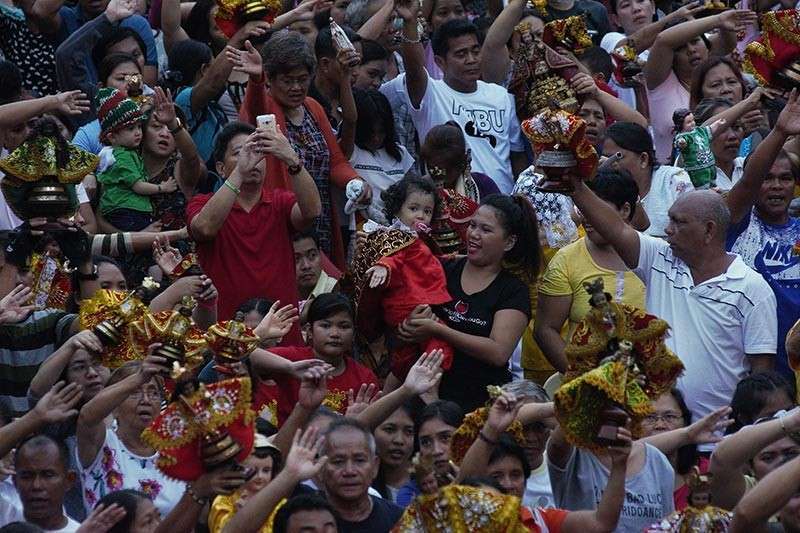 He also urged devotees to bring a lot of patience and to avoid losing their cool while attending the novenas masses. Fr. Aladdin Luzon, head of the Fiesta’s peace and order committee, said the image of the Sto. Niño was expected to arrive at the Basilica at 5:30 a.m. but it arrived an hour earlier. 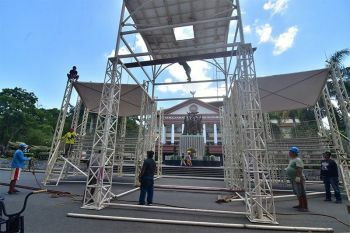 Luzon said it was because of the close coordination between the fiesta organizers and local police in ensuring that the activity was peaceful and orderly. The local police were also relieved that the penitential walk ended without a hitch. Chief Supt. Debold Sinas, Police Regional Office 7 director, said even with 300,000 people joining the procession, there was no report of any untoward incident. The crowd turnout was nearly four times bigger than last year’s attendees, estimated at 80,000. 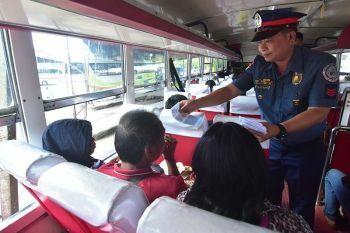 Sinas, who personally oversaw the deployment of police personnel, said one of the reasons that many devotees joined was the fair weather yesterday dawn.